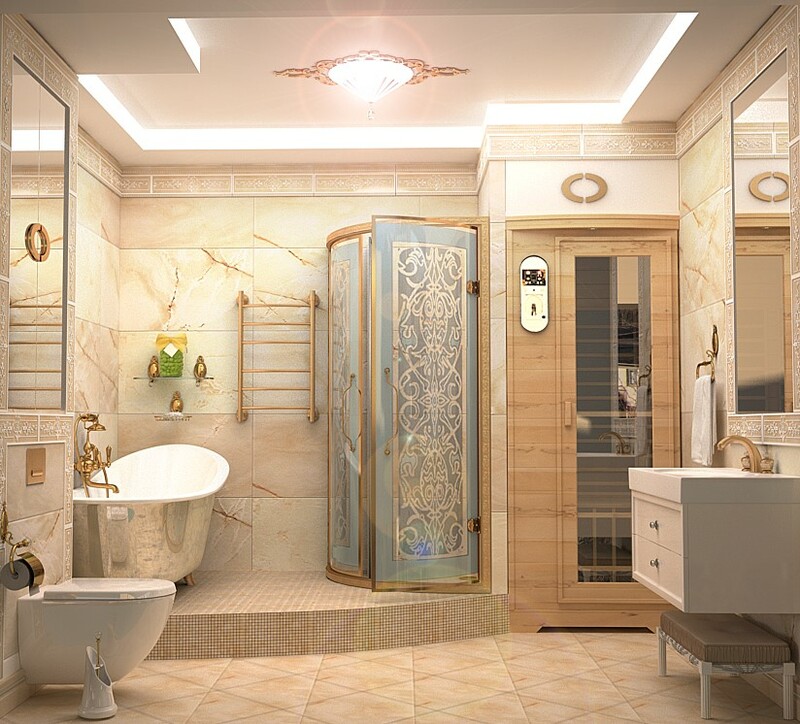 The desire to relax comfortably and relax in the bathroom of your dreams - the idea of ​​all women who change the interior of the house. 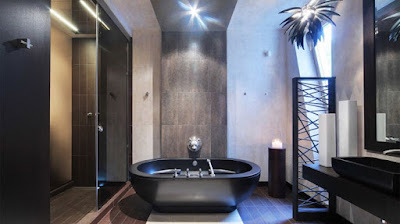 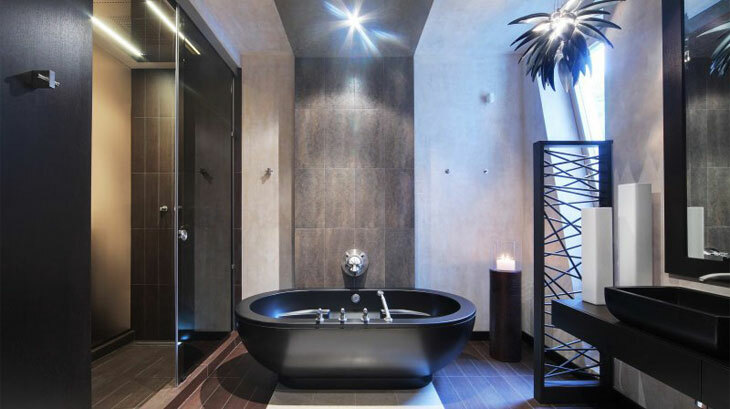 Ideas, how to reschedule the room or create a model of the interior of the bathroom should be entrusted to the professionals of this business. Choosing furniture for small premises, the ideal option would be a modern bathroom design with shower room, which is not only comfortable, but also functional. 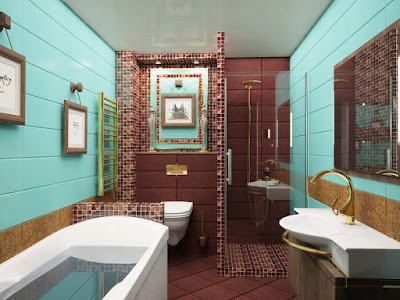 The design should be considered, from the point of view of convenience and comfort, the color gamut and the location of all objects is important. 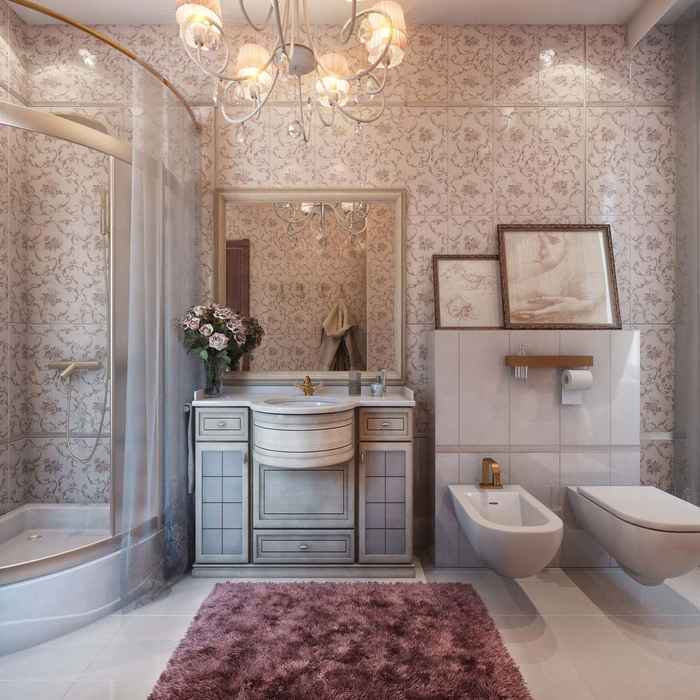 You should not choose annoying tones for the bathroom, or too many bright accents, the choice should stop at the quiet warm colors. The color of the walls and the floor is chosen based on the size of the bathroom, the light colors of the tiles and mirror inserts visually increase the area of ​​the room. 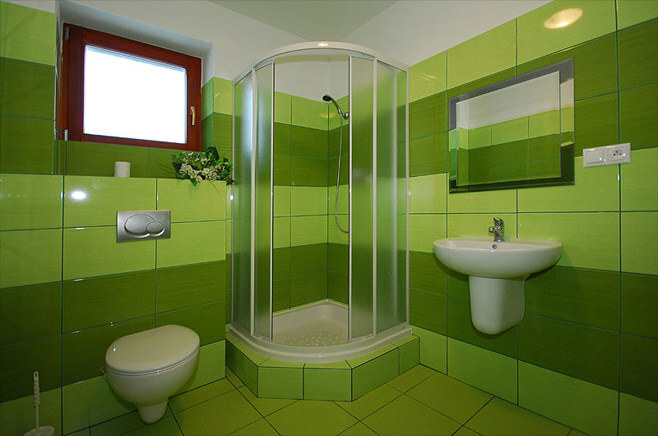 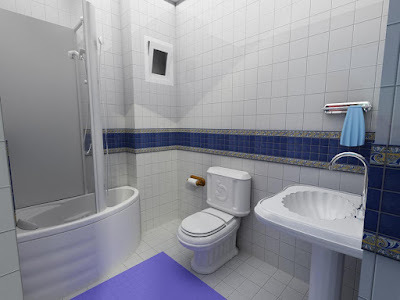 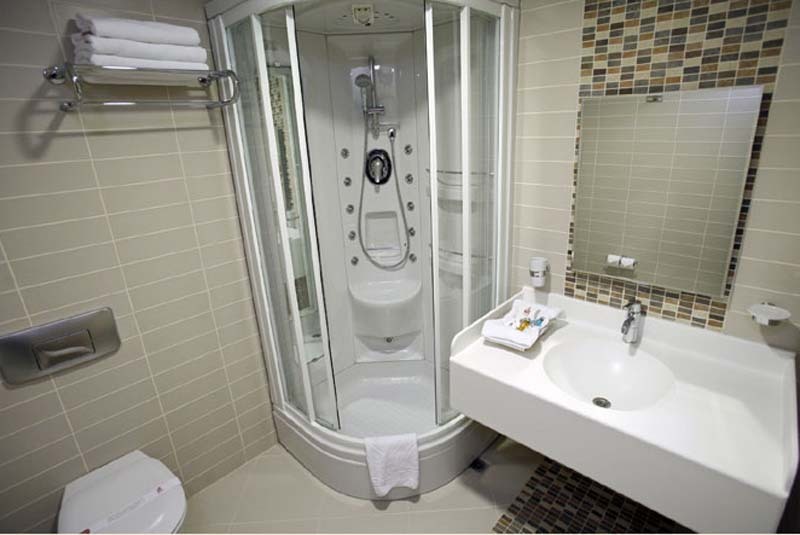 In the Khrushchev or a large apartment, the bathroom should be rationally spaced, the equipment should be compact, without occupying extra centimeters of space. 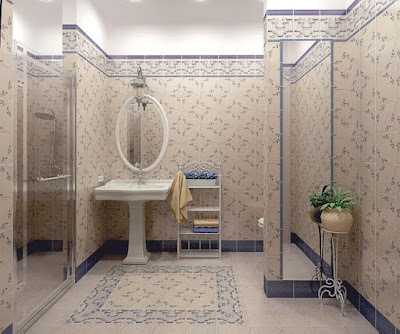 Decorating the walls with a pattern or an ornament to the style of the room will harmoniously look with the rest of the interior. 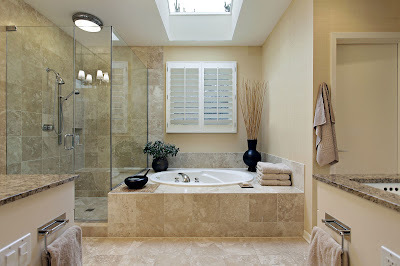 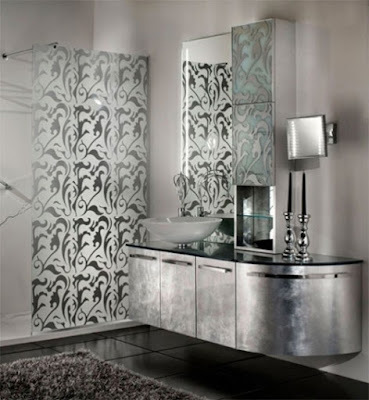 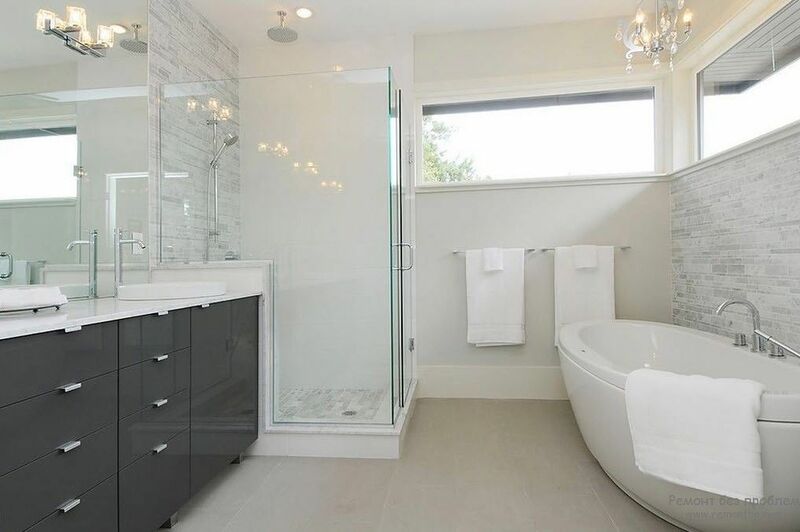 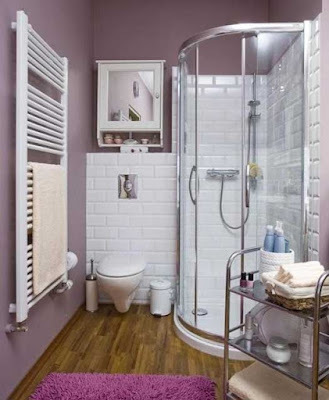 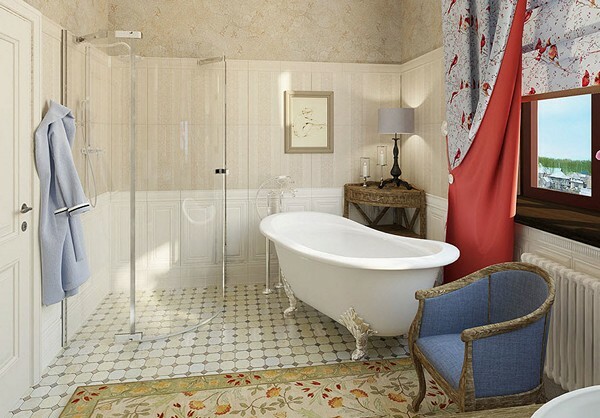 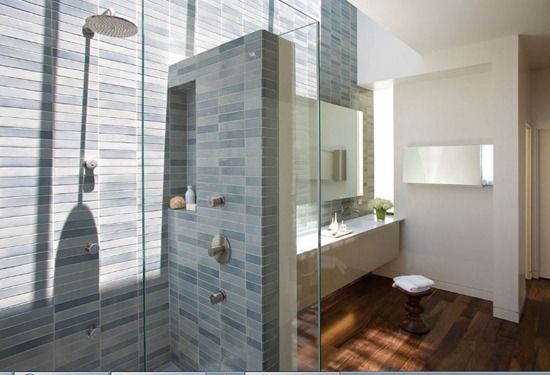 The bathroom makeover ideas with shower box will look elegant, combined with the minimalist style. The parameters of the bathroom of a small apartment, as in Khrushchev, speak for themselves - at best, 6 square meters. You will need to place all the furniture and sanitary ware, rationally and without excesses. 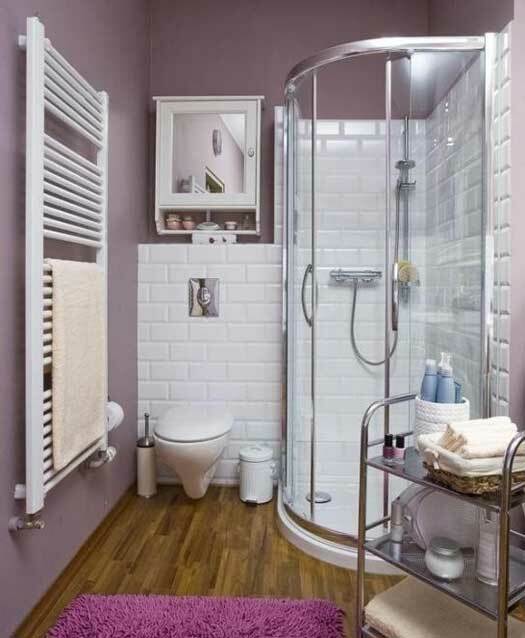 With the limitations of square meters, there is no sense in considering a separate bathroom and bathroom, the only suitable option is to combine these items in the same area. The modern bathroom design with shower room will combine beautiful booths of tempered glass, which is resistant to mechanical damage. 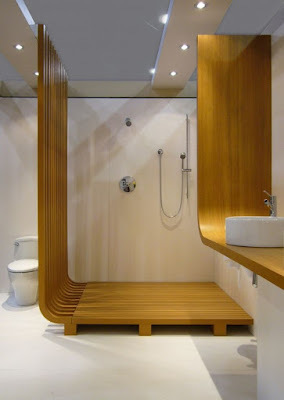 The bathing space can be varied by installing unusual sinks where the water will turn on automatically when the hand is held. 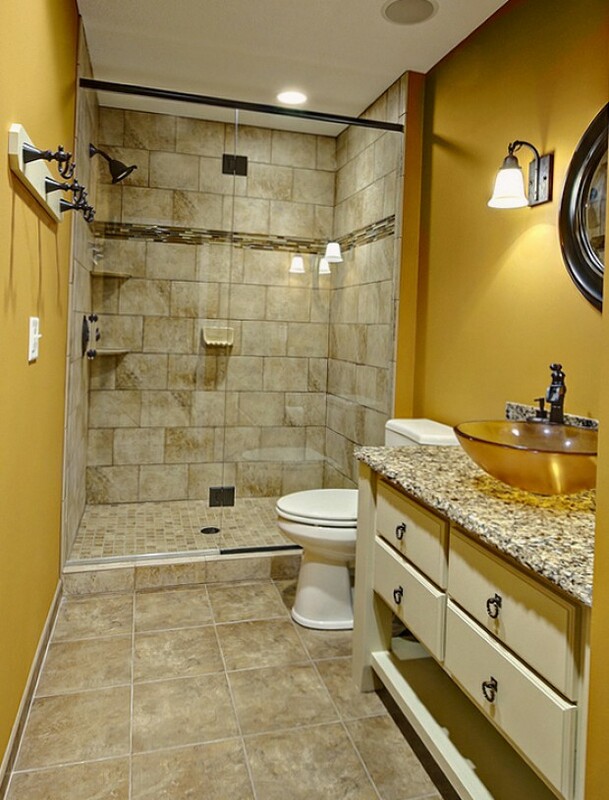 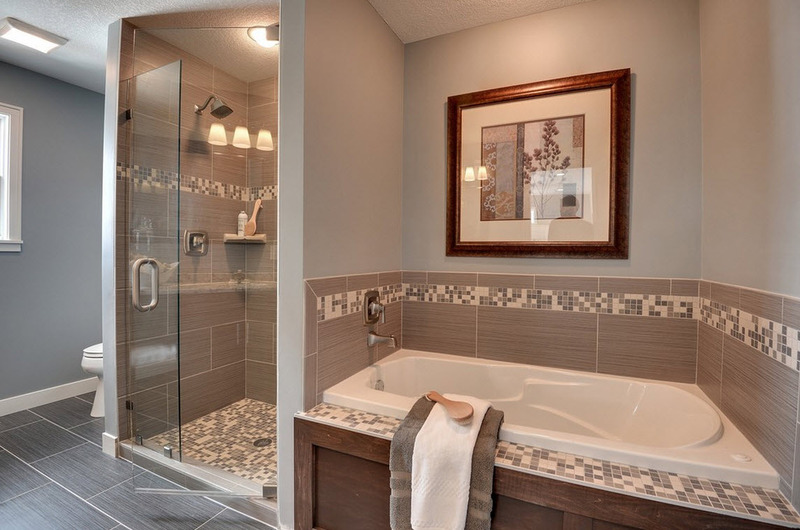 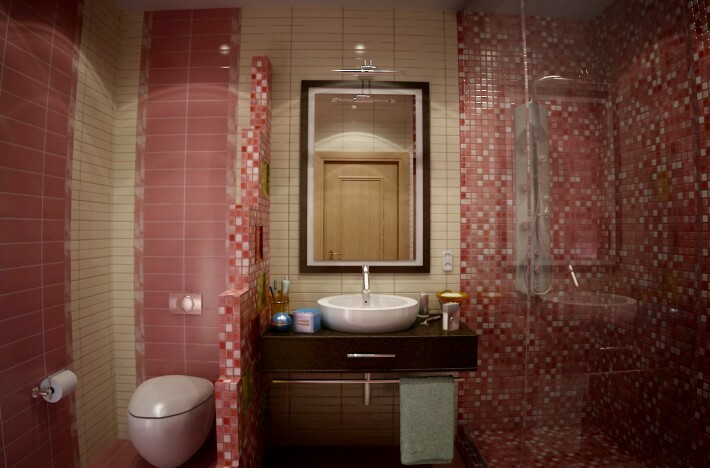 The main thing when planning a bathroom is to arrange everything ergonomically for the owners. 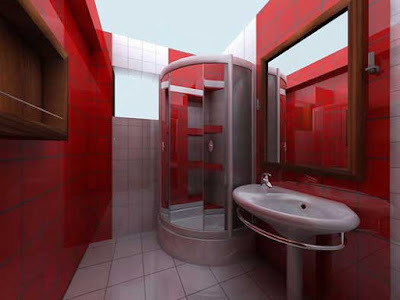 The number of square meters and the shape of the bathroom will help determine the placement of plumbing. 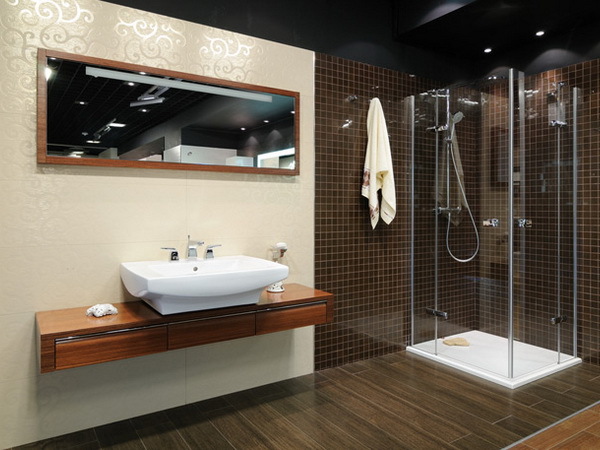 For example, the selected hanging washbasin will significantly save space to adjust to the style of any bathroom. 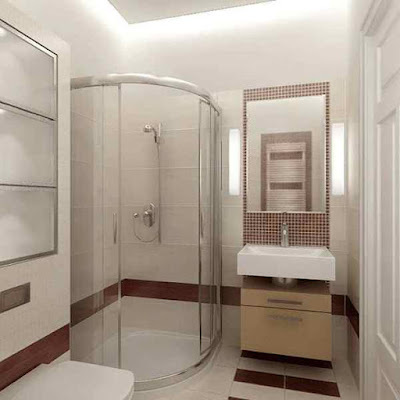 Glass or marble, they will focus on attention. 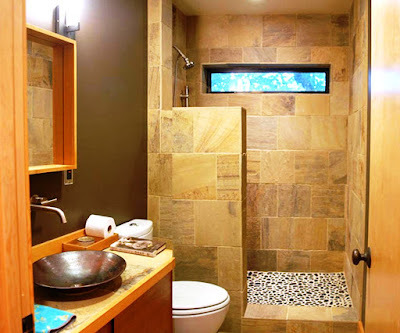 Ideas to replace the usual shell on the hanging now relevant for any project. She will be able to blend in with the washing machine standing under her and the cabinets for trifles hanging above her. Options for tile designs for bathroom with shower with a minimum square meters can be with or without a tray, hydro-massage functions or with a floor drain. Everything is determined on the spot, taking into account the parameters of the room and the planned interior items. 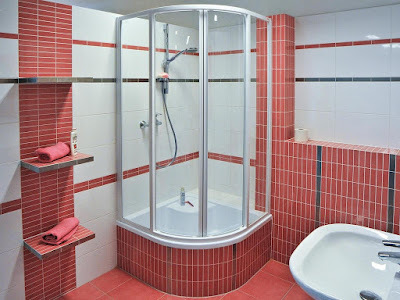 Having decided to change the bath in the shower stall, you should think that those who like to lie down in the warm water, this option will not work. 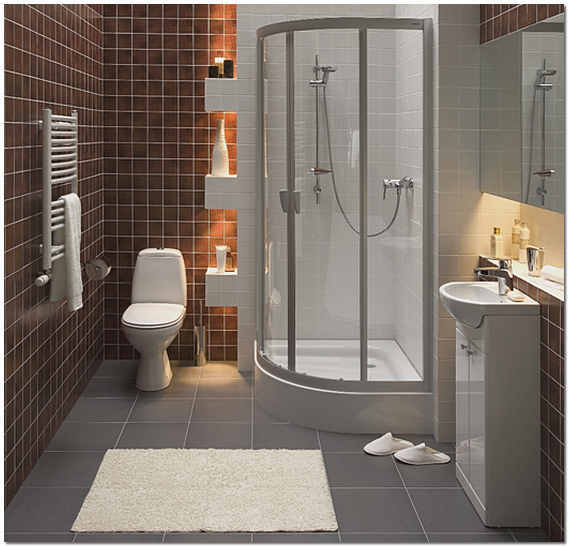 Bathroom layout with shower room are designed for a small area, they occupy the corner of the room, fenced off by glass doors. 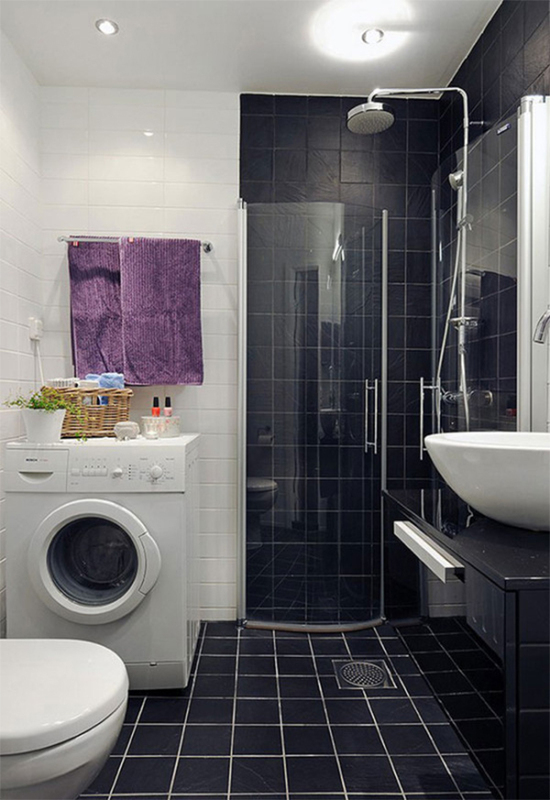 When choosing a pallet you need to pay attention to its depth, if you have a child, it is recommended to use a deep pallet in which you can wash it. Ideas with frosted glass, as partitions with the main room will suit those who seek privacy. 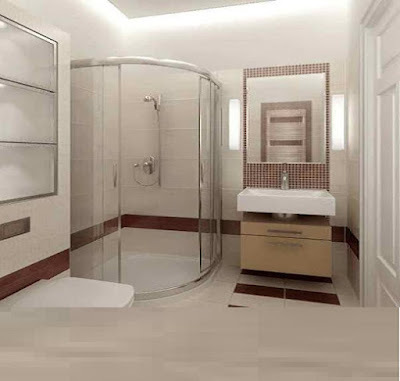 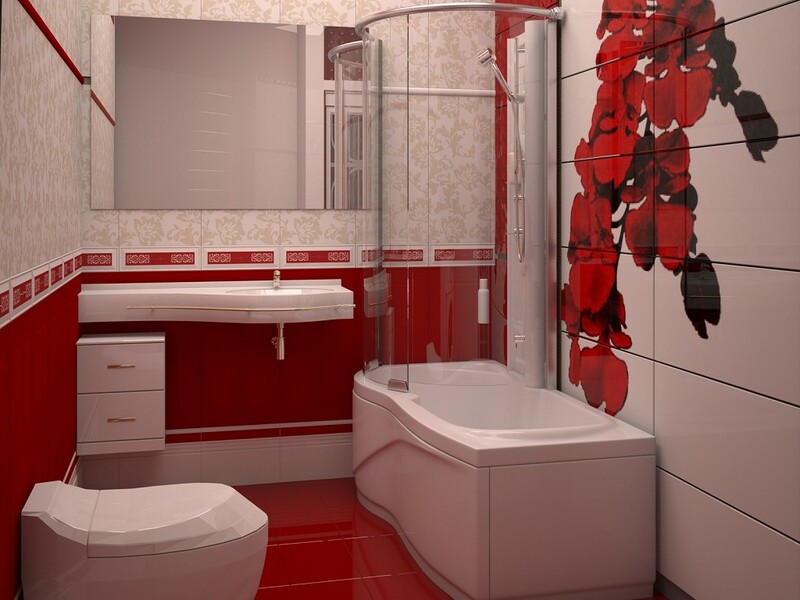 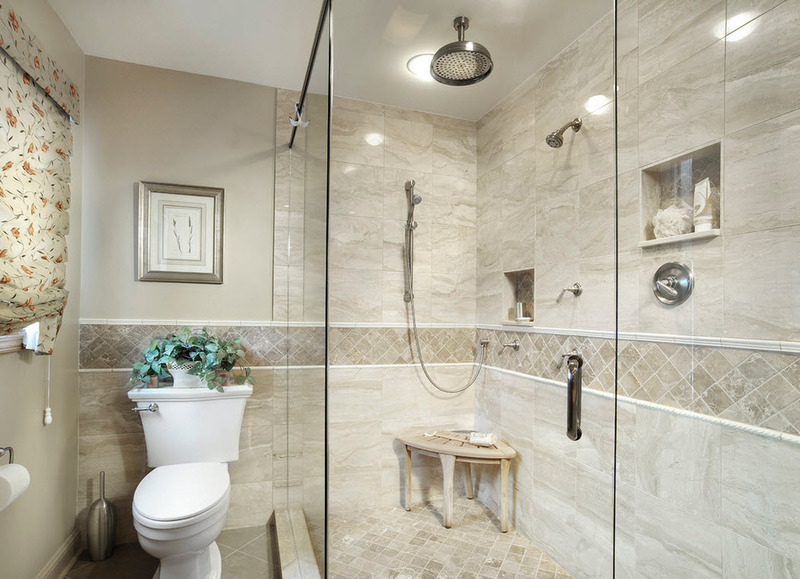 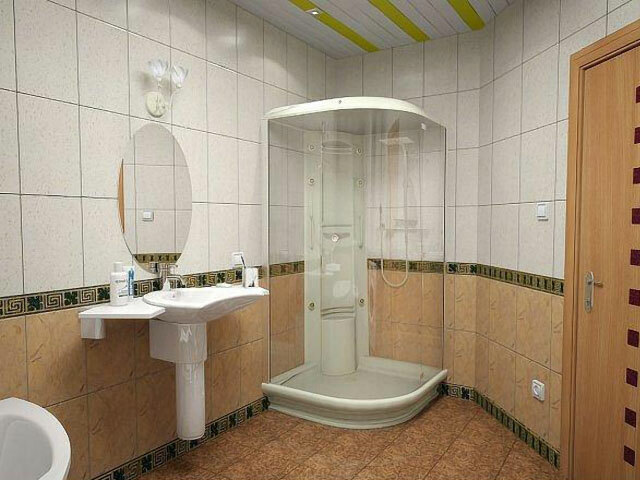 Modern bathroom design with shower room will save the amount of water spent, as practice shows. 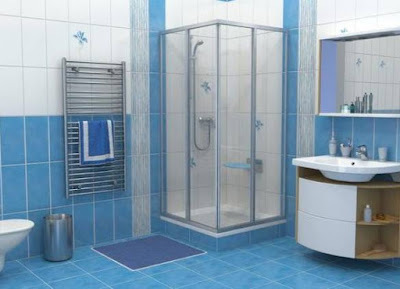 Using a non-slip pallet, a person can eliminate the option to slip and get injured.Unlike taking a shower in the bathroom, even with a special curtain, the shower will save the owners from unnecessary stains, the tile will remain clean and dry. The hydro-massage functions of a cabin or a tropical shower, being a part of a complete set, can relax a person and get rest. 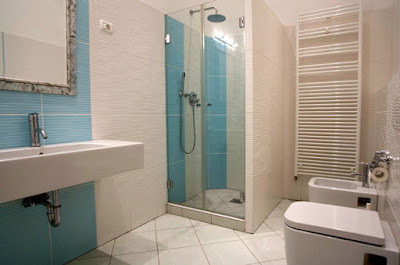 Taking a shower will be more hygienic, as the dirt will immediately wash away from the body. 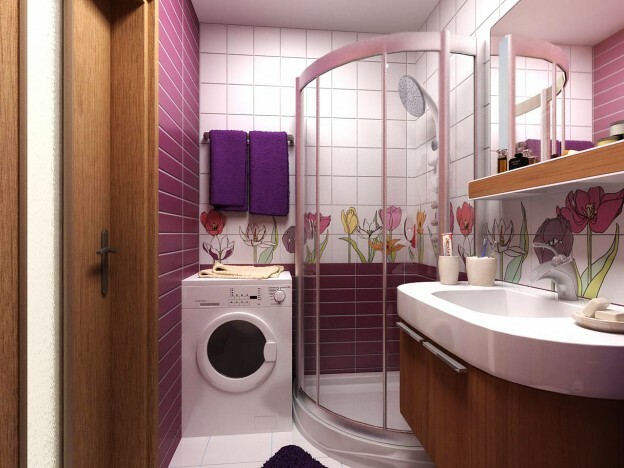 Another advantage is the speed of washing, such bathrooms are equipped by people leading an active lifestyle. 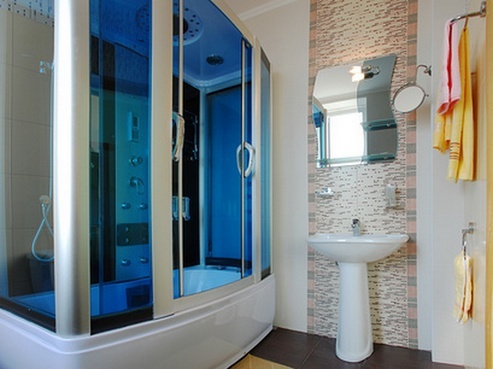 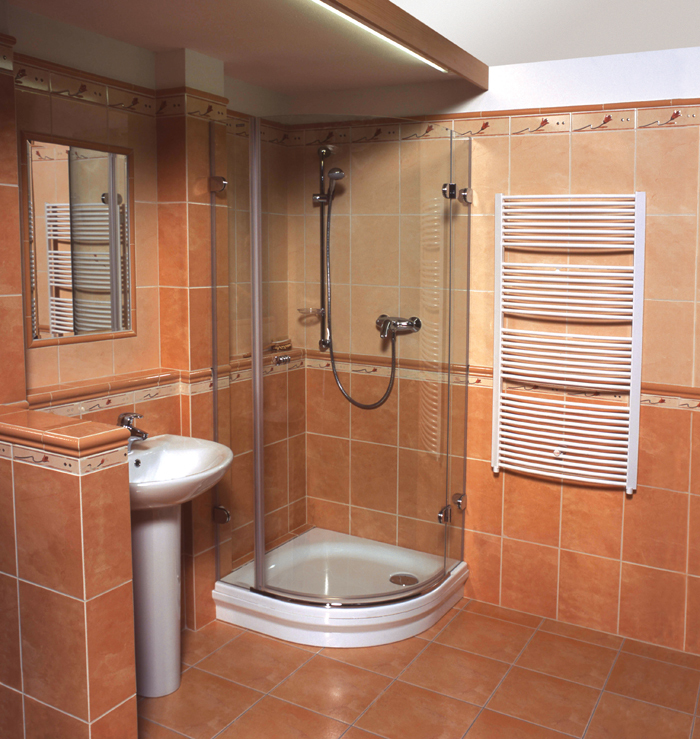 Costly models can afford to have a radio or telephone inside the bathroom.